We are located in Fort Wayne, Indiana and meet the first Monday of each month. Check the calendar for the next meeting date and location. You are welcome to join us! Have you heard of us? We are a group of people who get together and talk about Volkswagens. 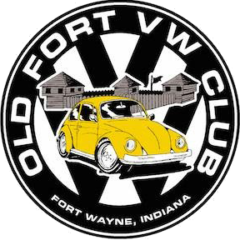 One of the shinning moments we have is our annual Old Fort VW Show located in Fort Wayne, Indiana. This is the 18th year we will be putting this show on! It is a fantastic time and we draw all kinds of people from all over.